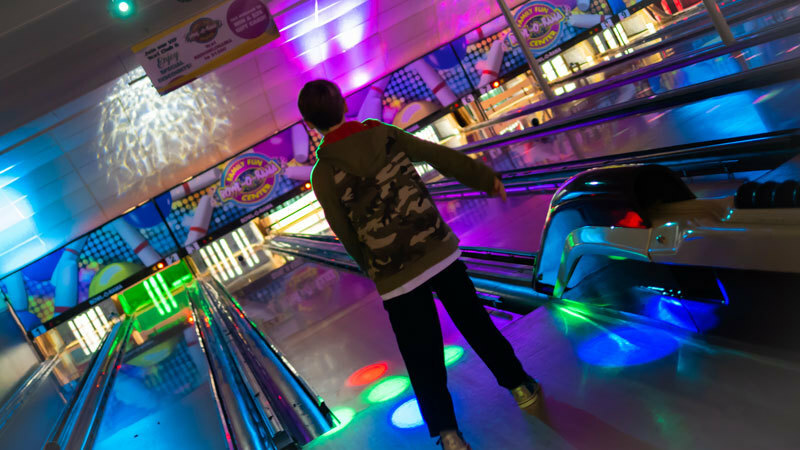 Your Cosmic Bowling Experience in Portsmouth! 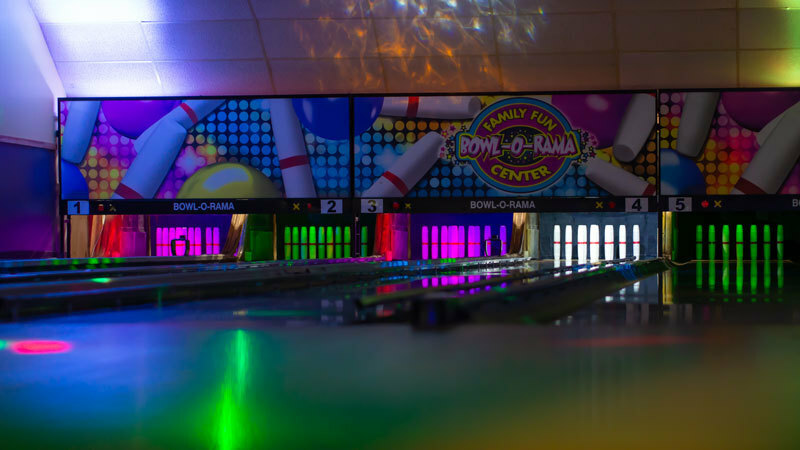 Bowl-O-Rama’s Cosmic Blast Bowling is your most exciting social experience in Portsmouth! We have laser lights, special effects disco lights, and black lights, along with all the latest music hits on our new music system. Request your favorite songs to sing along or dance to! Order up dinner, snacks, beer, wine, and more from Shenanigans at Bowl-O-Rama right at your lane and make it the perfect social night out. Our Cosmic Blast Bowling is the hottest bowling experience on the Seacoast, and the perfect place to come have a good time with family, friends, or co-workers. Join us for a night of bowling and bowl under the cosmic lights and loud music! We also offer great Cosmic parties for kids, teens, and adults, call us or check out our parties page to start planning your event!